ATTENTION BOATING AND FISHING ENTHUSIAST!!! IMAGINE BOATING ON AN 18,810 ACRE LAKE TOHO AND THE CONNECTING KISSIMMEE CHAIN OF ~6 LAKES!!! FOR THOSE SEEKING ADVENTURE; BOAT THE CONNECTING KISSIMME CHAIN OF LAKES TO LAKE OKEECHOBEE AND THE EVERGLADES!!! 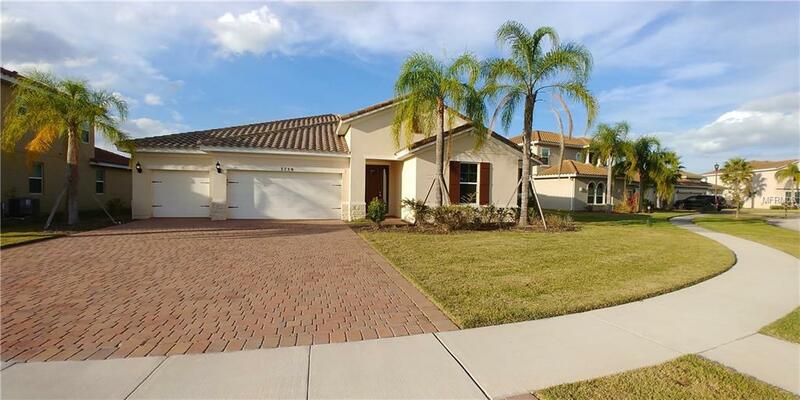 THIS COULD BE YOUR PARADISE OF 4 SPACIOUS BEDROOMS, 3 BATHROOMS AND STUDY PLUS A THREE  CAR GARAGE IN A BEAUTIFUL LAKESIDE COMMUNITY OF BELLALAGO. VIEW THE SERENITY OF THE LAKE FROM THE MASTER BEDROOM, KITCHEN, DINING ROOM, GREAT ROOM AND STUDY OR RELAX ON YOUR PRIVATE EXPANDED SCREENED LANAI WITH LAKE AND CONSERVATION VIEWS. FISH FROM YOUR VERY OWN PRIVATE DOCK AND ENJOY NATURE AT IT BEST. THE COMMUNITY CLUBHOUSE HAS EVERYTHING YOU WILL EVER NEED; ONE MILE OF SHORELINE, 1300 FT OF LAKESIDE BOARDWALK, GAZEBO, BOAT RAMP WITH LIFT, 3 SEPARATE SWIMMING POOLS, GYM FOR ZUMBA, PILATES YOGA OR KARATE AND LAKESIDE RESTAURANT. WITHIN THE COMMUNITY ENJOY THE MILES OF BIKING AND WALKING TRAILS AMONG THE ONE HUNDRED YEAR OLD OAK COVERED MOSS TREES AND MULTIPLE WILDLIFE. ALL YOU NEED IS YOUR BOAT AND FISHING EQUIPMENT'S AND YOU WILL BE IN HEAVEN!!! THE PARADISO YOU HAVE BEEN LOOKING FOR; FISHING, BOATING, NATURE AND SERENITY!! !